The blogging of my reviews for Pajiba's Cannonball Read Series. Starts with III...will continue till I don't have time! 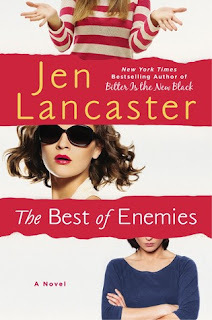 It's possible I never reviewed Jenny's other book, Let's Pretend This Never Happened. ::quickly goes to check:: Sike, I totally did, and it was as much of a rave as I expected it to be. Excellent. Expect more of the same here. 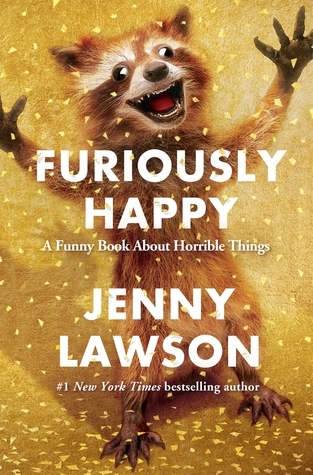 Furiously Happy is Jenny Lawson's second book. For those of you who have not read The Bloggess, or her other book, or my review of her other book, you should read all of those things. Then come back here. ::taps foot:: Are you done? Excellent. If you loved any/all of those things, you will love this book. Jenny finds such a perfect blend of comedy and emotional punch that has you laughing between tears and feeling grateful that you got to share this journey with her. This book, like her previous one, is a collection of stories and ramblings from Jenny's life. This one focuses less on her upbringing and more on her mental health battles, but it's just as funny and heartbreaking as the last. In sharing her pain, she also embraces her joy, and in doing both, encourages the reader to do the same. This book has more of Jenny's trademark wit and hilarity, and, of course, more stories of Victor. What is also has is a lot of honesty about dealing with her mental illnesses. As someone who has spent her life battling clinical depression and a general anxiety disorder, her honesty helped me feel a little less alone. More importantly, her humor allowed me to see the comedy in my own tragedies. With an author this open with strangers, it's hard not to feel like you should be more honest with yourself. I read this book one chapter a night so that I could delay it's conclusion. It's that kind of good. If you already love Jenny, you'll know what kind of greatness is in store for you. If you don't know her yet, you should meet her through her blogs, her books, or even in person - I can tell you she's as wonderfully weird in person as she comes across in print and I couldn't have been happier. So go forth and read, and be part of the tribe. Well, in a complete shock to no one, I managed not to hit my goal in CBR 8 (in reviews, at any rate - I read more than I needed to). I have a new job that will make both reading and writing time a challenge (ironically, as I'm working for a writing program at a university), so I'm sticking to my modest quarter-cannon goal. My hope this year is that I will take notes as I read so that I can review immediately following, or at least have a reference for a later date. The hardest thing for me when I put off reviews is remembering what the hell I thought about the book months after the fact. So even if the only thing I accomplish is that, I'll be proud. Remember to check in with the brilliant community over at cannonballread.com for more reviews, and for links to buy books that will donate money to the fight against cancer! Readers of my reviews know I love a good Nora Roberts trilogy, and this is no exception. It's been a hell of a year for me (well, let's be honest, for everyone) and so a lot of my reading has trended towards the simple and easy to enjoy. Nora is the best for that. I like to think of her books as popcorn lit - they are delicious, easy, low in calories, and come in all sorts of types to appeal to whatever your mood happens to be at the time. This mixes more towards the caramel corn of the bunch, aka my favorite - magical romance. I *love* when romance and fantasy are blended, and this trilogy handles a curse laid on the island in 1692, and the pathway love sets up to lead our thread protagonists to break it. First up is Dance Upon the Air, which focuses on Nell, the only member of our eventual trio who did not grow up on Three Sisters Island. Nell is fleeing a marriage and a life she no longer wants. Having faked her own death to escape her abusive husband, Nell wants to fly under the radar as she rediscovers who she really is and what she wants from life. As such, it's troubling that she develops feelings for local sheriff, Zack Todd, the last person she should want looking into her life. Along the way, she also bonds with the most important women in her life - Mia Devlin, a witch and her new boss, and Ripley Todd, deputy sheriff and sister to Zack. The three women mimic the three witches who originally cursed the island. While the persecution of witches was taking place in Salem. three powerful, real witches, sisters, cast a curse to protect their island. If their descendants do not bond together, learn their elemental magic, and defeat the darkness, the island will sink into the sea forever. Nell must learn to trust not only Zack, Mia and Ripley, but herself and her new powers. Book two brings us Ripley's story in Heaven & Earth. Ripley's story is mostly based around her inability to trust herself and her powers. She, like Mia, was aware of her gifts from a young age, but she turned from them instead of developing them. Here to throw a wrench into that plan is Mac Allister Brooke, a researcher looking into the magic and curse of the island. His research and their feelings for each other get wrapped up together, and Ripley has to find a way to reconcile them both. The final chapter is found in Face the Fire, letting us conclude with Mia, the most powerful and capable of the three. Mia, however, for all her acknowledgment of her power, needs to connect it to her heart, which she never really got back from her boyfriend, Sam Logan, when he left her and the island years ago. Now the owner of the only hotel on the island, Sam returns, ostensibly for business. However, as another descendant of the eponymous Three Sisters, his fate is as tied to the island as Mia's, Ripley's and Nell's. Sam and Mia must acknowledge what there is between them to have the strength to join Nell and Ripley to beat back the darkness before time runs out. I enjoyed all of these books immensely. I'm usually a bigger fan of one volume vs the others, but in this case, I felt they were all pretty solid 4 star reads. All the principle couples are decently developed and fleshed out, both as pairs, and as individuals. I really enjoyed that the relationships between the men was also explored, even with them being secondary to the women. Often, the secondary and tertiary relationships fall to the wayside in these types of books, but everyone relates really well to each other in this series. They all make each other stronger, not just the pairs, or the girls. 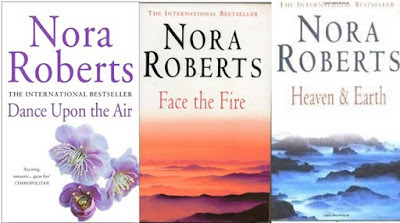 Roberts does a nice job working in a few elements that are standard in her writings as both Nora Roberts and JD Robb - mainly celtic mysticism and suspense. Roberts loves Ireland almost as much as I do, and she tends to find ways to work that into her books, be it via Irish characters, some Celtic mysticism (seen here through Sam), or the actual location of one or more books. She uses some classic suspense, as seen often in the books she writes that are adapted for TV movies and the In Death series, giving Nell a story of escape that involves a very bad man still searching for her. I also appreciated the use of Nell's ex husband throughout. It would have been easy enough to end the first book and never hear from him again. The fact that he's brought back in as a crucial antagonist is clever and well executed. Another great trilogy by Roberts, well worth the read if you are already a fan of hers, and a decent enough place to start if you haven't tried her work before. Preface in the name of transparency - I won this book as part of a GoodReads giveaway, courtesy of Inkshares. Free books in any capacity, be they giveaways, ARCs, or what have you, are awesome and I try not to let that influence my review, but I always like to be upfront about it. That said, thank you to GoodReads and Inkshares!! 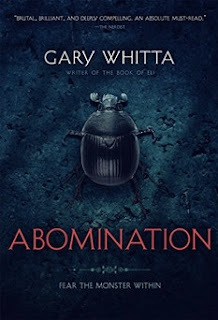 Abomination is a debut novel by the screenwriter of Book of Eli, Gary Whitta. I liked that movie, and you can feel a lot of the same tone throughout this that he brought to that film. Abomination is a crossbreed of fantasy, horror and historical fiction, set within England in the late 9th century. We spend some time in 888 and then jump 15 years. In 888, King Alfred has reached a level of calm in the country, with Vikings remaining in their settlement, having been defeated by the king's best night, the reluctant but brilliant Sir Wulfric. But he's nervous about what is to come - the old Viking leader is dying, and the result is likely to be renewed attacks on English citizens. Motivated by this fear, Alfred gives the Archbishop of Canterbury free reign to develop and explore the magic he discovered. The priest goes mad with power, creating what the world will come to know as abominations, weird animal/human/demon hybrids that are as powerful as they are merciless. Wulfric, who has retired to his village with his wife and unborn child, is drawn back into service to create the Order, tasked with bringing down the mad priest and destroying the abominations. The mission takes a turn that leads to the necessary time jump, where I will leave you to prevent spoilers. This isn't a bad first outing, as debut novels go. Whitta, in a surprise to no one, knows his way around language, so the text is confident, if not particularly loquacious. The story itself is nothing new and not particularly surprising - I'm not sure what was intended to be a mystery, because I knew how the whole of it would play out by reading the back cover (which says a little more than my summary, and the sharp will figure out what I did without much effort). I expected every piece of the outcome. That said, I was still interested in the journey because the characters were interesting enough. I cared a great deal for Wulfric, and still more for Indra. I actually prefer their relationship at the beginning, but things change the way their meant to. Indra is a strong female character, something I enjoy that we're seeing more of in fantasy these days. I will say, this almost read more YA than traditional fantasy - for all the talk of monsters and morals, it just felt a little...light? Not necessarily in a bad way, I have a deep love of YA, especially YA fantasy (I'm anxiously awaiting September's delivery of the final Throne of Glass book), but it's not billed that way, which alters expectations. I also want to add that while it doesn't beat you over the head with it, it also gives a bit of a Christian lit feel. Wulfric's battle is as much one of faith as it is character, and God and religion are utilized a lot. It never felt preachy to me, which readers of my reviews know I'm quick to call out. It's also part and parcel of the time period, so to an extent it made sense. It just always catches my attention when there's any heavy reliance on deities or religion to motivate story. What this *isn't* is very good horror. The title, the beetle on the cover, whoever assigned horror to it on GoodReads...I don't know. Yes, they fight monsters. And if the whole book were the first section following the creation of the abominations through to Wulfric's confrontation with the Archbishop, and it ended there? Sure, then you might be able to develop that further and make something truly scary. But the story, the *real* story, is what comes from that, and that's not a horror story, however horrible what has happened to him is. The village massacre is the closest we get, and it's only a couple pages of the whole book. One other compliment I want to throw the author's way is the description of battle. I work in fights for stage and screen, and as such have done a lot of research and a lot of practice when it comes to battles and fighting. Whitta did a lovely job at describing battles that made sense and that were easy for me to follow. This book may not set the world on fire, but it's not a bad read to check out if you're looking for a redemption story set in a fictional 9th century England. I look forward to seeing what else Whitta comes up with. Check out more great reviews at Cannonball Read! If you haven't read any of the absolutely brilliant Throne of Glass series, beware, for spoilers will abound. It's impossible for me to talk about the novellas that make up this book without addressing their connection to the wider world Maas has created. Before I delve into spoiler territory, suffice it to say that you can absolutely read these without having read the rest of the series. The whole set of 5 novellas included take place before any of the events in Throne of Glass, the first book in the actual series. They make for great reading to lay the foundation before you start, and even better reading after you've read all the rest of what Maas has to offer (though now I want to read all 4 published works *again* to see how the novellas resonate throughout them). I personally like them better as a prequel that you consume after you've already gotten into the deep end of your addiction to the series, but I can also see their value as a starting place. Ok. So those of you who haven't read the other books, go away. Just know that these novellas are awesome as stand-alone, or as a part of this world, but better as part of the whole. (Looks around) Are they gone? Just left with people who read the other books and/or don't mind spoilers? Good. Welcome! This is going to be long, so settle in. 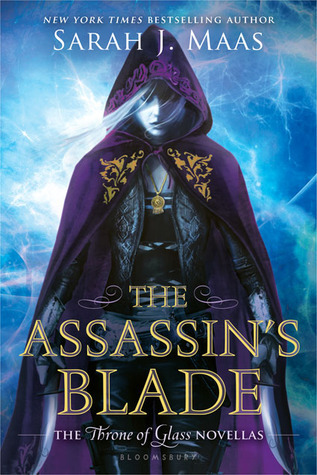 As previously stated, The Assassin's Blade is actually a compilation of 5 novellas, known as Throne of Glass 0.1-0.5. The stories included are The Assassin and the Pirate Lord, The Assassin and the Desert, The Assassin and the Underworld, and The Assassin and the Empire, along with a fifth story exclusively available to this collection, The Assassin and the Healer. The stories involved are all about our darling Celaena in her days before Endovier and everything that followed. The whole set is delightful and adds so much to what we know about these characters and the world they live in. Celaena is a bit more of a brat in much of these, but considering her age and life experience, it makes sense. You also get to see her progress from insufferable and self righteous to something more substantial and thoughtful, even though she has a lot more development and maturity to go in the course of the series. You know there's only so far she can grow up to be where she is by the time Throne of Glass kicks off. This novella is all about Celaena and Sam journeying to an island to do business with the Pirate Lord on Arobynn's behalf. We get some of the power struggle in Rifthold straight out the gate, with a meeting in the Assassin's Keep. Tensions between everyone are high, but especially between Sam & Celaena. The two are sent away ostensibly to address the murder of several of their own, but in reality, to broker a slave trade between Arobynn and the titular Pirate Lord, Rolfe. This was lovely because it really set the groundwork for Celaena's objection to slavery, which runs through all the books. Even as an assassin, she's still capable of working for the greater good, and she has a constant moral center. This novella also gives us our first hint of chemistry between Sam and Celaena. While readers know where this is headed going in (passion, love, betrayal, death), it's fun to see where it started and how contentious their relationship was in the beginning. Sam's affection may be slightly less obvious if you don't know to look for it, but I doubt it; still, having not read these with virgin eyes, I can't say for certain. This novella also sets up not only the other novellas, but the pathway that leads to Endovier and everything to come. Celaena's actions here are a catalyst, and the chain reaction they set off is monumental in scope. This novella was a bonus to this book, and chronologically goes second. Celaena is waiting for a boat to head out to the Red Desert, where she has been sent as part of her punishment for her actions in the previous novella. The other part of her punishment she tries to conceal under heavy hoods and coats - Arobynn beat her to within an inch of her life before she was sent away, and the bruises have yet to heal. She has no idea what happened to Sam, other than a memory of him being held back and made to watch as she was beaten. While holed up in the crappy little town of Innish, she meets and ends up helping a barmaid, who was raised as a healer when there was magic in the land. I *loved* the relationship between Celaena and Yrene Towers. I thought it developed nicely, and it helped establish Celaena's trouble with female friendships, but also how much she benefits from them. Celaena continues on her trail to regain her place with Arobynn by arriving in the Red Desert to train with the Mute Master. I loved that she wasn't instantly taken under his wing, that she had to earn her place in his training. I also enjoyed yet another important female friendship being formed, with Ansel, another trainee at the fortress. I saw Ansel's betrayal coming a long way off, but it hardly mattered. What she did to the Fortress and the others was terrible, and helped put Celaena in a place to earn her letter and a ton of money from the Mute Master, but their relationship was what mattered most to the story. Once again, I enjoyed seeing Celaena learning how to be friends with another woman, and in this case, to learn what a betrayal of that friendship could mean. With attachment comes the chance to be hurt, and this is only a stepping stone to what she'll endure with Sam, and later, Nehemia. I hope Ansel comes back into the world somehow - I'd like to see her tie back into the story, see what Celaena has become. More slave trade issues, more betrayal by Arobynn, and some solid progress into a relationship between Sam and Celaena. Again, I saw the betrayal coming a long ways off, but in this case, it bothered me not a whit because it made complete character driven sense for Celaena to complete miss the signs. As is stated in many an argument with Sam, she is far more willing to forgive and trust Arobynn than she should be, a lesson that really isn't driven home to her till these novellas reach their conclusion. But we'll get there. Dynamics have shifted as Sam and Celaena play the games we all do when attraction is suddenly realized. We also get the introduction of Lysandra to the story, which was fascinating in contrast to her story-line in Queen of Shadows. I love the way Sam loves Celaena, and that his trade for forgiveness was that Arobynn would never lay a hand on her again. I love the way they work together. I also appreciate Celaena's reticence to both move out and buy out her contract - her ties to Arobynn are deep and binding, and breaking loose from something like that should be a challenge, especially for a troubled young woman like our heroine. And...the heartbreak. Knowing exactly what's coming doesn't make it any easier. In fact, it's the latter, because you watch the dominoes line up and *know* how they will fall, but have to endure your beloved characters remaining oblivious to them all along. Sam and Celaena are technically free - they're still part of the Guild, but no longer indebted to Arobynn, and both living in the apartment Celaena owns. But that freedom has come at a price - no one has contracted them and money won't be around forever. The pair decide to take one last big job to pay their way out - no more Guild, no more living in Rifthold. A fresh start where Arobynn has no connection to them or control over them anymore. How neither of them sense the threat that poses to his proprietary feelings, especially concerning Celaena, is baffling. The man is pure ego, and the two of them attack it at every turn. We know Sam's about to die, and that Celaena is about to end up shipped off to Endovier, but watching it unfold still *hurts*. It's so much worse knowing how it all fell out, and seeing the man who brutally murdered Sam elevated to a position of power as a reward for it. Celaena's heartbreak is palpable. You see step by step how Celaena is broken down and reformed to someone other than who she was when she began. She will never again be what she was. She finds pieces of the girl and uses them to form the woman she becomes, but the girl who starts The Assassin and the Pirate Lord and the one who enters Endovier at the conclusion of The Assassin and the Empire are not the same. These novellas are brilliant. They flesh out story and character pieces we were missing, rounding out an already beautiful universe. Maas made a brilliant choice in writing them, where many authors would have intentionally abandoned that history to start where their story really hits the ground. It's so much nicer having all of this bonus material. The Throne of Glass series still stands without it, and fantastically so, but it's a richer picture when you add The Assassin's Blade into the mix. If you love the series, and you should, you must add these to your To Read list immediately. I went into this book knowing I love Jen Lancaster. I have read several of her books, but this was the first one that was fiction. Jen formerly wrote memoirs - brilliant books of humor based on her own life. When I saw she had made the jump to fiction, I decided that was a thing that I needed to check out. For the most part< I was satisfied. The Best of Enemies is a frenemy story, although the way that relationship originated is different than expected. Jacqueline Jordan and Kitty Carricoe are our protagonists, with the story being told from a mixture of their viewpoints, some blog posts of Kitty's, and a series of complaints from hotel management regarded events in honor of their mutual best friend, Sarabeth Chandler. The book wastes no time in setting up the disparities between our two leads. Jack is a journalist who focuses on areas of conflict, warzones, and the like, bunking down with soldiers, writing books that could get you a guest appearance on an evening talkshow, while avoiding being home as much as possible. Kitty is the perfect Stepford wife and mother, the type of health nut who calls her children "Littles" and who, if you are me, you immediately want to run over with your car. Harsh? Maybe, but that makes her evolution sweeter because she absolutely grows on you. Jack and Kitty, it would appear, have nothing in common other than Sarabeth (whom Jack calls Sars and Kitty calls Betsy, because it's not enough for them to *be* different, we have to inform that in the nicknames they give the same person). Our story opens with the two women living their separate lives, giving us some insight into their characters in present day. Jack is disconnected from personal ties that aren't Sars or her brothers (well, two of them at any rate). Kitty is battling to remain on top at the PTO, to hide her dwindling finances, and to keep her marriage going (if you don't see the adultery there coming, you maybe need to pay more attention to the world). The two are thrown together, and set to reminiscing in separate chapters, by the alleged death of Sarabeth's husband. At this point the story bounces between the present (exploring the mysterious circumstances surrounding the death) and past, filling in how both girls knew Sarabeth, and, more importantly, how they knew each other, which is far more interesting and significant that the opening quarter of the book would suggest. Can two such different women with so much bad blood between them reconcile their differences long enough to find out the truth and protect their friend? Honestly, Sarabeth is a means to an end, and I gave no shits at all about her or her life. But I really don't think you're supposed to. Jack and Kitty, while often fairly broadly drawn stereotypes, were really interesting characters by the end. Their influence on each other was really fun to watch. I also liked hopping back into the past to see how things fell out between the two of them. I don't want to spoil it, but their relationship was not at all what I expected at the start. This isn't a book that is trying to do much, but as a piece of fluffy fun literature, it absolutely succeeds. I didn't have the good fortune to be lying on a beach while I read it, but it feels like the perfect beach read. There are times it tries a little too hard, but you can't really get angry about it. Fluffy and fun, female centric, embracing both the good and bad things about relationships between female friends, I'd definitely recommend this as some light vacation/escape reading! Today's lesson, children, is in carefully researching your next book. It is not enough to have something recommended and throw it on your GoodReads account, oh no. You need to make sure you pay close attention to things like genre. And, reader beware, GoodReads does not show you genres on it's app. You must do your due diligence! Go forth to the GoodReads website and really look at that right hand column. Otherwise you'll end up like me. Yes, children, I read a piece of Christian fiction. To start, let me say that I did not hate this book. In fact, I didn't realize that aught was amiss for quite some time. When writing Regency styled fiction, some religion comes with the territory, and until Abigail starts settling into the titular estate, it all works ok. Then she meets the local parson and suddenly DING DING DING - it's Jesus time. I was raised Catholic, and I have retained some facets of my faith over the years. That said, I generally skip Christian lit because I *HATE* being preached to. A lot. So this book had some flaws. Let's dig in. This book is the story of Abigail Foster, a young, capable woman who gets her family involved in a bad investment that costs them their home, though not their social standing. When she is offered the opportunity for her family to take up a tenancy in Pembrooke Park, which has remained vacant after some scandalous happenings several decades prior. Wanting to redeem herself in her family's esteem, Abigail works diligently to restore the home. In the process, she grows close to the neighboring family, the Chapman's. This includes their son, William, who is the parson of the local parish. Abigail, in leaving London, also left behind a broken heart after her childhood love seemed to prefer her sister. William starts to look like a way to heal that heart. But the house comes with some ominous tendencies - sounds in the night, warnings of unsavory types, and a mystery at the heart of it all that Abigail is trying to solve. 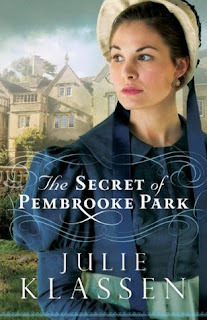 As far as Regency romance goes, it was fine. I bought into both of Abigail's ties, to childhood sweetheart Gilbert and new flame William. I also really loved her friendship with Leah. I had no problem envisioning the estate, and the way things ran seemed accurate to the things I know of the period. The mystery left me a little cold - it was fine, and I suppose it was logical, but I didn't care all that much about it. But nothing left me colder than the sermons. When I say that, it's not an exaggeration. The curse of William's chosen profession is that it leaves the author with plenty of opportunity to not just worm theology into conversation, but to literally preach sermons from a pulpit. I skipped several pages in a go every time mass was attended. Or whenever William's solution to anything was based in faith. Which was more and more as the book went on. Basically, what I'm saying is, this book is fine, but nothing special. And just how much you enjoy it may be related to how much religion you can tolerate in your fiction.